For Vauxhall Vivaro (2001-2014) Models For 20DTI-M9R-786, 20DTI-M9R-788 Turbo Diesel Engines. Gearshift Cables. Genuine Vauxhall High Pressure Fuel Injection Pump. For Vauxhall Movano B (2010 Onwards) Models For 23CDTI - M9T-672, M9T-676, M9T-678, M9T-686, M9T-692, M9T-694, M9T-876, M9T-892 Turbo Diesel Engines. OPEL 802308, 93188320. VAUXHALL 802308, 93188320. Function Fuel Feed Unit. Technical Information. Model year to: 03/2010; Chassis no. from: 64149027. Model year to: 09/2005; Chassis no. from: 64246705. PART NUMBER 0445010183. 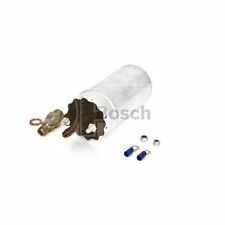 Z19DTH BOSCH FUEL PUMP VAUXHALL VECTRA/ ASTRA. 0470504015 470504015 0986444014 9201510. Reconditioned Bosch Diesel Injection Pump. We specialize in the repair of electronic fuel injection pump. - For each pump, we attached a written one-year of warranty with unlimited miles. 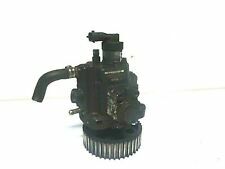 GENUINE VAUXHALL INSIGNIA ASTRA J A20DTH DIESEL FUEL INJECTION PUMP. PART NUMBER 55571005 0445010193. REMOVED FROM 2009 VAUXHALL INSIGNA. We will always do our best to provide clear accurate pictures. VAUXHALL INSIGNIA EXCLUSIVE 2.0 CDTI 158 BHP 2011. MODEL: EXCLUSIVE CDTI. FUEL TYPE: 2.0 DIESEL. GLASS AND BODY PANELS. ET: 41 PCD: 5X120 CENTER BORE: 67.1. All parts are used second hand parts unless otherwise stated. NISSAN PRIMASTAR Box (X83) 1.9 dCi 100 Box Diesel 09/2002 on FWD 8 100 74. NISSAN PRIMASTAR Box (X83) 1.9 dCi 80 Box Diesel 09/2002 on FWD 8 82 60. NISSAN PRIMASTAR Platform/Chassis (X83) 1.9 dCi 100 Platform/Chassis Diesel 07/2002 08/2006 FWD 8 101 74. OPEL 13327783, 5815063, 815191, 93189593. VAUXHALL 13327783. OPEL CORSA D (S07) 1.0 (L08, L68) Hatchback Petrol 01/2010 on FWD 12 65 48. OPEL CORSA D (S07) 1.2 (L08, L68) Hatchback Petrol 06/2010 on FWD 16 69 51. 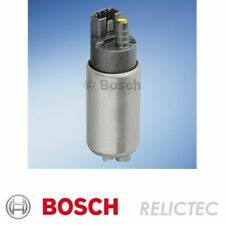 A20DTH BOSCH FUEL PUMP VAUXHALL INSIGNIA. PART NUMBER 00445010193. OPEL 4700684, 9204647. VAUXHALL 9204647. OPEL AGILA (A) (H00) 1.0 (F68) Hatchback Petrol 08/2003 12/2007 FWD 12 60 44. OPEL AGILA (A) (H00) 1.0 12V (F68) Hatchback Petrol 09/2000 12/2007 FWD 12 58 43. Vauxhall Astra 1.7 cdti. Here is a Bosch Fuel Pump to fit the above vehicles with the 1.7 cdti engine with both 80bhp and 100bhp. (FUEL TYPE:DIESEL. 2) Fault or failure of an ancillary component, for example a radiator, timing belt, water pump, fuel injection system, turbo, coolant, gasket, hoses, etc. We cannot be held responsible if the item does not fit your vehicle. BOSCH PART NUMBER:- 0445010203. FPT PART NUMBER:- 55567370. FITTED TO THE EARLY A13DTC ENGINE 10-12. OLD FORGE ENGINE CENTRE LTD. FITS 2010-2012. Whilst every effort is made to ensure that parts are despatched in good working order, problems and faults do occasionally occur. Not all vehicle engines require a fuel pump, but most modern car engines have a pumping system that feeds fuel through a line or hose to the engine. The fuel pump is usually located on the front of the engine block, close to the carburettor system. Vauxhall Movano 2.3 / Vauxhall Vivaro 2.0 Reconditioned Bosch Diesel Fuel Pump. Engine Capacity (l/ccm): 2.0 (Vivaro) / 2.3 (Movano). M9R780 (Vivaro). Bosch Fuel Pump Part Number(s) You can find the manufacturers number on your old fuel pump. VAUXHALL INSIGNIA A 2.0D Fuel Pump In tank 08 to 17 Bosch. VAUXHALL 1232369, 1232392, 13303514, 15776410. OPEL INSIGNIA A (G09) 1.6 CDTi (68) Hatchback Diesel 07/2015 on FWD 16 136 100. OPEL INSIGNIA A (G09) 1.6 CDTi (68) Hatchback Diesel 07/2015 on FWD 16 120 88. 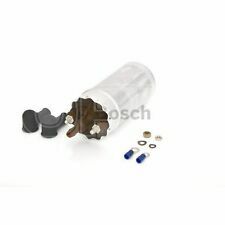 Bosch Part No: 0445010156 (0445010097, 0986437025). Astra H, Vectra C, Signum, Zafira B - 1.9 CDTI. 55193731 Vauxhall /Opel. 93190244 Vauxhall /Opel. 93182410 Vauxhall /Opel. 93190486 Vauxhall /Opel. Key Features. (VAUXHALL CORSA D 2007 1.3 DIESEL Z13DTH ENGINE FUEL PUMP. IRELAND AND CHANNEL. 2) Fault or failure of an ancillary component, for example a radiator, timing belt, water pump, fuel injection system, turbo, coolant, gasket, hoses, etc. Bosch OEM Fuel Pump. It is always better to check if possible. P/N: 0 580 453 976. MOVANO 2.2 DTI 90 KM. MOVANO 2.5 DTI 99 KM. MOVANO 2.5 DTI 115 KM. VIVARO 2.5 DTI 135 KM. VIVARO 2.5 CDTI 114 KM. Genuine Remanufactured Injection Pump. Original Part Numbers VEL SATIS 2.2 DCI 150 KM. 0470504016 0986444021 9199204 1590050 24413104. Reconditioned Bosch Diesel Injection Pump. We specialize in the repair of electronic fuel injection pump. - For each pump, we attached a written one-year of warranty with unlimited miles. HERE IS FOR SALE DIESEL FUEL INJECTOR PUMP. GENUINE PART. WE WILL PROVIDE YOU WITH A PROPER INVOICE. VAUXHALL ASTRA H 1.7 CDTI 2006 BOSCH FUEL PUMP WITH PART NUMBER 0445 010 086 REMOVED FROM RUNNING ENGINE. BOSCH 0445010155. REMOVED FROM A 2007 VECTRA C 1.9 CDTI. Vauxhall Vectra, Astra, ,Zafira 2.0. OPEL VAUXHALL. 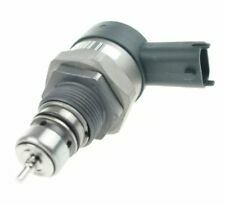 Bosh Diesel Electronic Injection Pump. 0470504010 0470504021 0470504024 0470506009 0470004002 0470004004 0470004006 0470004007 0470004008 0470004009. PART NUMBER 0470504224 ON PUMP. PART NUMBER 0281011055 ON ECU. VAUXHALL VECTRA C 2004 2.2 16V DTI INJECTOR FUEL PUMP. IF THERE ARE PART NUMBERS IN THE ADVERT, THEY'RE THERE FOR A REASON. THIS MUST BE CHECKED PHYSICALLY AGAINST THE PART YOU ARE REPLACING. BEEN TAKEN OUT FROM ASTRA 2014. We cannot be held responsible if the item does not fit your vehicle. We can solve any issue together. IN FULL WORKING CONDITION. READY TO USE. BOSCH HIGH PRESSURE INJECTION PUMP FOR FIAT SUZUKI VAUXHALL 1.3 CDTI. Each pump has unique serial number. You will receive pump as it is on the pictures. Bosch VE Type R554-5 Pump. Part Number 10470-6147. 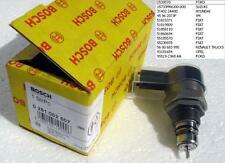 BOSCH PART NUMBER:- 0445010193. VAUXHALL PART NUMBER:- 55571005. OLD FORGE ENGINE CENTRE LTD. FITS 2008-2013. Whilst every effort is made to ensure that parts are despatched in good working order, problems and faults do occasionally occur.